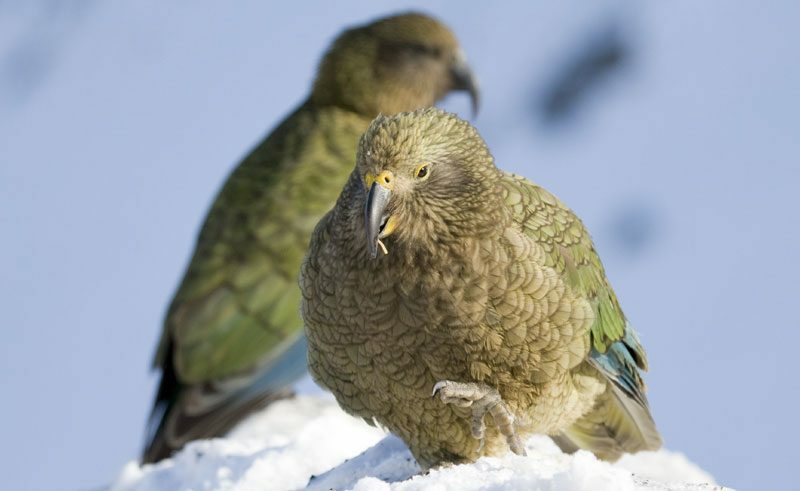 Zoologist, author, photographer, conservationist, TV presenter and Discover the World co-founder Mark Carwardine visited New Zealand for the TV series ‘Last Chance to See’, where his encounter with a native parrot (kakapo) created a YouTube sensation. Mark’s latest trip to ‘the land of the long white cloud’, once again took him in search of the country’s rare and endangered wildlife including the charming ‘Small Five’. If you’re inspired by his account, don’t miss our holiday ideas and a slideshow of Mark’s images at the bottom of the page. 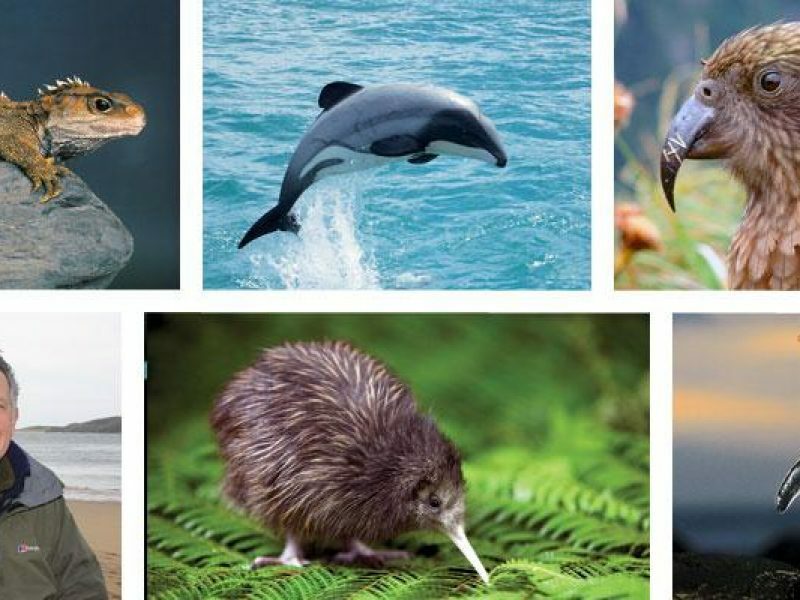 I’ve just been on a whirlwind tour, travelling the length and breadth of New Zealand in search of a particularly outlandish menagerie of animals dubbed the ‘Small Five’. My first stop was a tiny island with a big secret, just off the coast of Auckland. Tiritiri Matangi, or Tiri for short, is reputed to have the best dawn chorus in the world – and, indeed, I spent my first morning immersed in a cacophony of birdsong so vibrant that it takes on orchestral proportions. 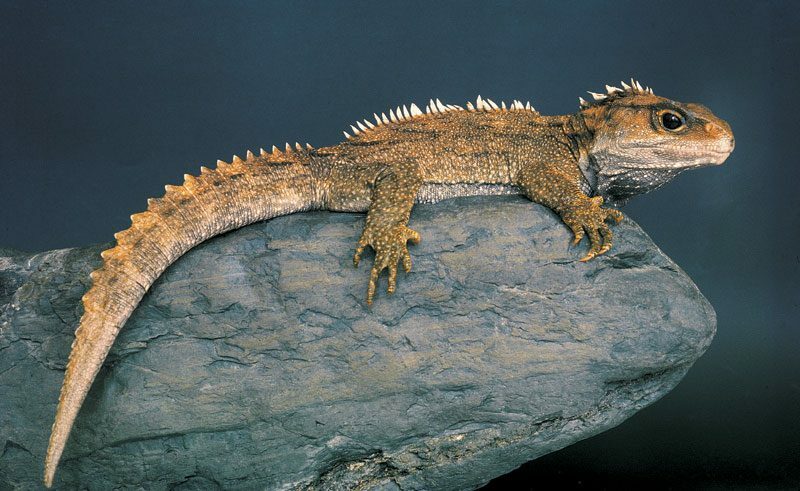 But my main objective was to see a lizard-like animal that isn’t really a lizard, known as a tuatara. This strange creature, about two feet long, looks as if it has just walked off the set of Jurassic Park and is best seen after dark. So after supper I bumbled around in the forest, with a frustratingly feeble torch, and somehow found one next to a log. Sure enough, it allowed me to lie next to it for several minutes, before ambling off into the night.One down, four to go. 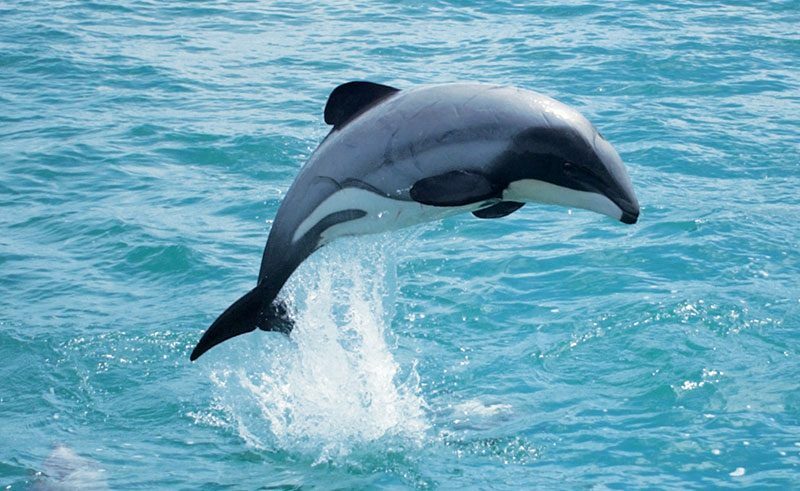 Number two on the list was Hector’s dolphin, the smallest and one of the rarest marine dolphins in the world. I found several (or, rather, they found me) at the entrance to Akaroa Harbour, a delightful seaside village on the Banks Peninsula. They were the tiniest dolphins I had ever seen – small enough to fit inside a bathtub, with room to spare – and were dressed smartly in black, grey and white, with dark face masks and inappropriately large, black, rounded dorsal fins. Everyone on board was laughing and whooping and cheering as they put on the kind of show that only dolphins can do. Last time I was in New Zealand, filming the BBC TV series Last Chance to See with Stephen Fry, I was shagged by one of the world’s largest parrots – a kakapo. The kakapo in question (at the time, one of only 124 left in the world) was a humanoid individual called Sirocco and the incriminating film clip of him rocking backwards and forwards on my head like a mentally retarded Dachshund became something of an internet sensation. So it was with some trepidation that I went in search of the third animal on my list – another giant parrot. This time it was an equally notorious, mountain-dwelling olive-green parrot, with gorgeous bright flashes of red, yellow and orange, called a kea. Before I’d even closed the door a gang of five keas had landed on the roof and bonnet. 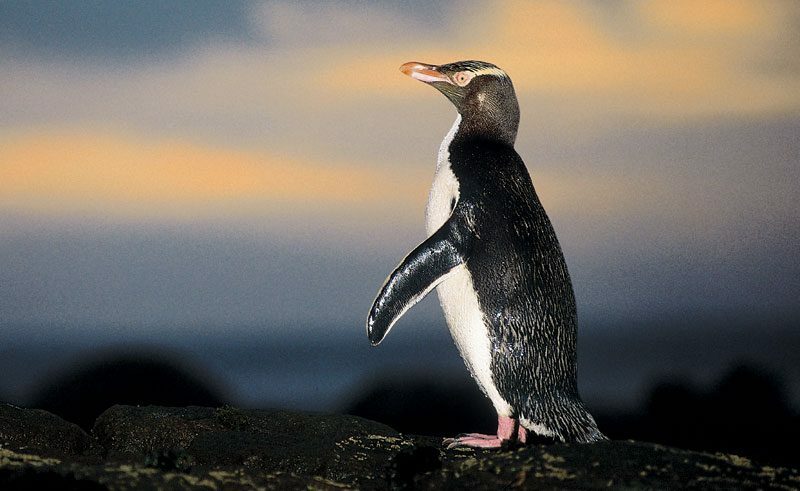 Next on the list was another rare bird, the beautiful yellow-eyed penguin. I drove what was left of my hire car to the beautiful Otago Peninsula, a short scenic drive along a meandering coastal road from Dunedin. In a few days I had wonderful close encounters with the penguins at appropriately-named Penguin Place (which has a unique system of hides, tunnels and covered walkways to view the birds up-close), as well as on a Yellow-eyed Penguin Trust reserve and at a private conservation area run by Elm Wildlife Tours. My final quest was New Zealand’s iconic bird, the kiwi. And for that I decided to go to Stewart Island, in the extreme south of the country. This is my kind of place. There is only one settlement on the island, with a human population of just 400 hardy souls and no banks or ATM facilities, and it is surrounded by lush primeval forest and sweeping sandy beaches. 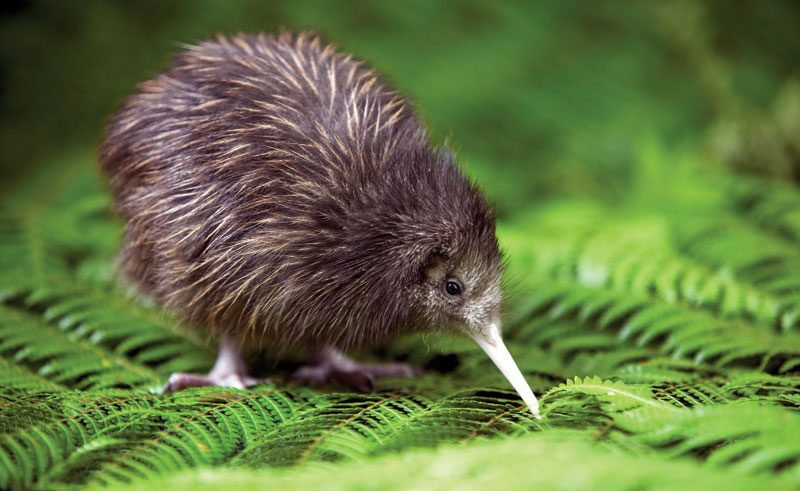 I did find a kiwi, after dark in the middle of nowhere, hiding behind a bush. I crept closer, lay down on the grass and suddenly realised that it was no more than a foot in front of my face. The big ball of shaggy feathers, about the size of a chicken, stared back at me for a few moments and then squeezed itself into the bush and out of sight. Suffice it to say, I’ll be going back. Follow in Mark’s footsteps on our New Zealand Wildlife Encounters holiday. This 21-day independent holiday is the ultimate self drive touring option for nature enthusiasts. Contact our team of accredited New Zealand Travel Specialists and start planning your adventure today. Especially designed for those with a real passion for wildlife and nature, this is the ultimate tour for nature enthusiasts. Immerse yourself in a wealth of wildlife and nature on this fantastic self drive. Track down New Zealand's endangered wildlife on this self drive nature tour. Discover mountains, fiords, glaciers and pristine scenery of the South Island. A South Island small group adventure with hiking, kayaking and cruising. Discover one of New Zealand's seldom explored regions on this 14-day self-drive holiday following the Pacific Coast Highway around the East Cape of the North Island.